The Lyric is pleased to announce our 'Black Lens: Summer Film Series.' From From June 1 to July 27 every Friday at 7:00 p.m. The Lyric will be showcasing a film that is free and open to the public. 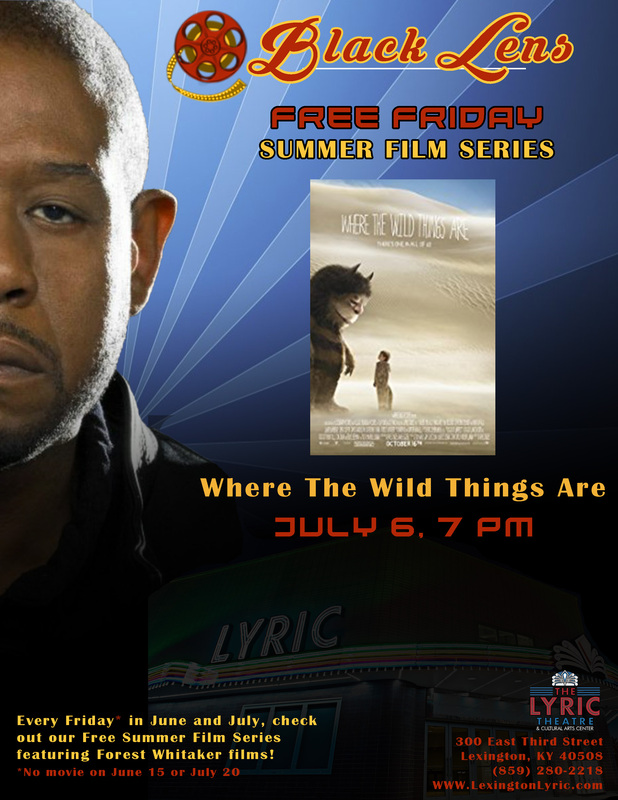 This particular film series celebrates the fourth African-American Academy Award Winner, Forest Whitaker. Whitaker is a testament to the slow-growth presence of diversity in Hollywood. Continuing in the tradition of the 6 year run of Lyric Summer Film Series prior, Black Lens seeks to celebrate and honor the monumental achievements in black cinema over the years. This celebration dually honors The Lyric's storied legacy as a movie house and roots in the Lexington community.